Check out our website for new classes from kickboxing, meditation, and so much in between. 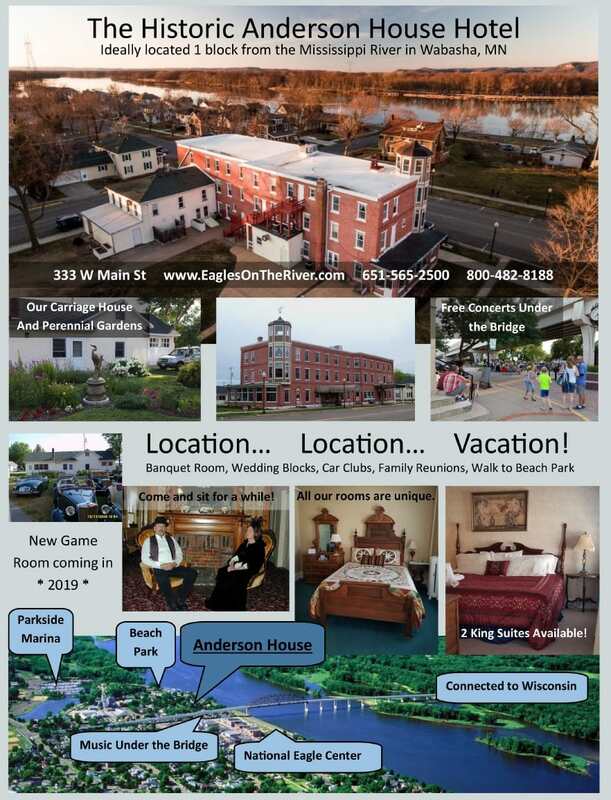 Eagle Valley Chiropractic is excited to welcome Wabasha’s first Urgent Care! Denay Kelly, APRN will begin after hours Urgent Care services on September 6th. There will be a website, coming soon, dedicated to the customers to view hours of operations and costs. The plan will be to expand hours if there is enough demand from the community. Denay has 26 years of experience in health care and 13 years as a Nurse Practitioner, she currently works in the emergency department at St Elizabeth’s and lives in Millville with her husband and 2 dogs, Pickles and Tank. She enjoys biking, traveling, reading and gardening. The Abbott Funeral Home of Wabasha has been faithfully serving our area of southeast Minnesota and west central Wisconsin for over 62 years. We are proud of our long, rich heritage, our full service and cremation options, our commitment to excellence, our caring and dedicated staff and our integrity. Our sole purpose is to provide professional quality, dependable and affordable service as well as show respect to every family we are privileged to serve. The American Legion is a Veteran’s organization serving America in our local communities, and at state and national levels. Our 250 strong membership helps support many community projects which include our Legion Youth Baseball team, Veteran’s Day Program, Memorial Day Parade and Program, Education Week activities, City swimming Pool, Library programs, July 4th Fireworks and sponsoring young people for Boy’s State and Legionville Camps. If you are interested in learning more about the American Legion Post 50, please contact Catherine Gallenberger, Adjutant at [email protected]. 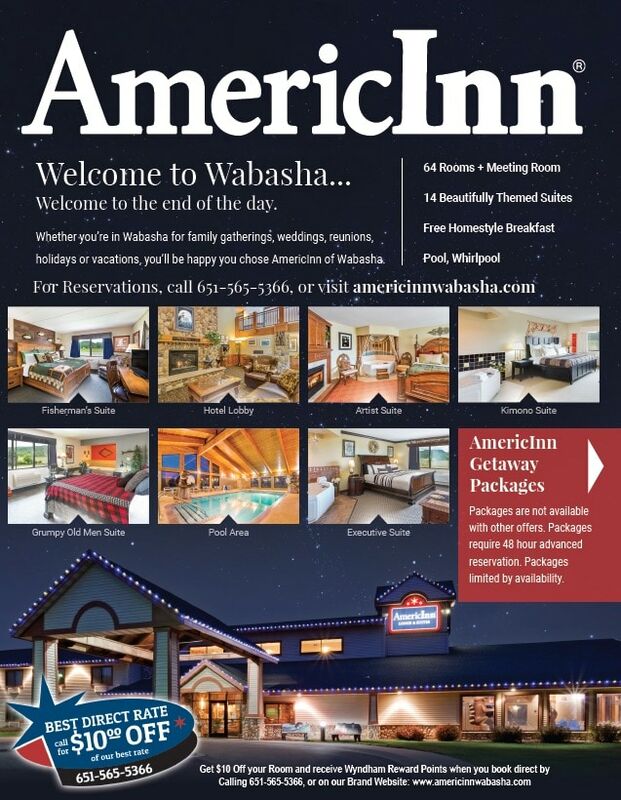 Welcome to the AmericInn Lodge & Suites, the newest hotel in Wabasha, Minnesota, located in the Mississippi River Valley of Southeastern Minnesota. Need a destination for a family reunion or a small corporate retreat? Our lodge features a meeting room for up to 50 guests, free high-speed Internet access and an 18-hole golf course. 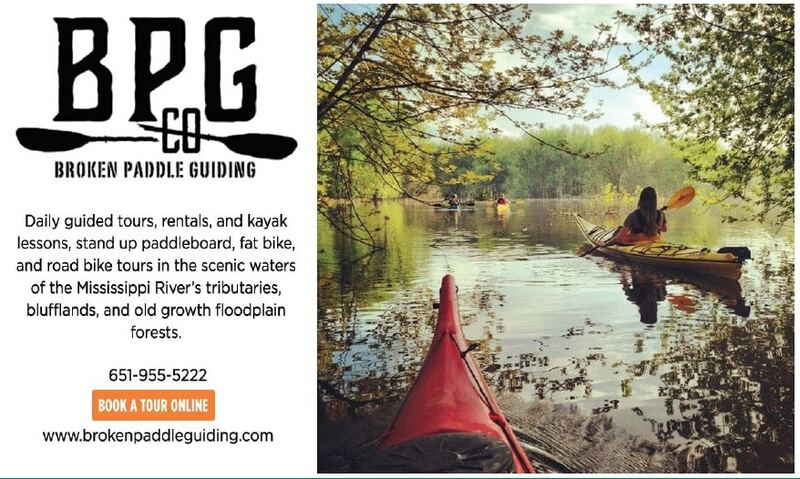 Let our knowledgeable staff help plan your perfect vacation or tour in the beautiful Mississippi River Valley! Once you get here, we’ll help launch your day with a free AmericInn Perk breakfast with scrambled eggs, sausage, homemade Belgian waffles and more. And you’ll have a cozy room to come home to for the rest and relaxation at the end of the day – all you need to worry about is having a good time! Cardinal Health is a healthcare service that provides customized solutions for those in the healthcare industry including hospital , clinics, pharmacies and more all around the globe. Cardinal Health is headquartered in Ohio and has a location in Wabasha, MN. 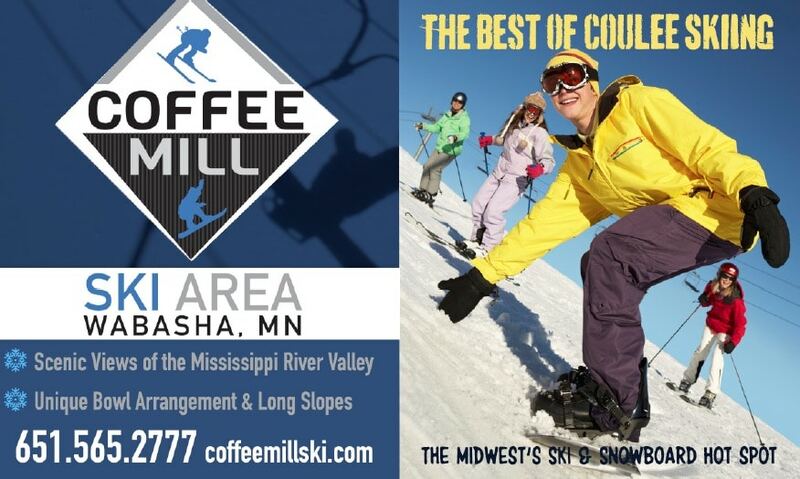 Coffee Mill offers the best of coulee skiing with a unique bowl arrangement for convenient lift accessibility and protection from cold winter winds. Extra long slopes combined with no lift lines provide a great skiing and snowboarding experience second to none. Grocery store, bakery, and unbelievable deli. Join us for coffee fellowship after each service! Come experience God’s grace through music, a meaningful message, and holy communion served every Sunday. Faith Lutheran celebrates our diversity of beliefs within our own congregation on a variety of social issues while remaining united by God’s love for us all. Faith is a place of welcome for all so that we may encourage one another and grow in faith. There are a host of opportunities for you to learn more about God, the Bible, and use your gifts for the benefit of this community. We value being open minded in honoring everyone’s questions about faith. We don’t believe that you must believe certain things about God before you can participate fully in the life of our church. We believe that asking great questions is more valuable than having the “right” answers. We love to engage together in exploring what the Bible has to say and try to humbly understand as best we can what it means for today’s world. We trust that God honors our seeking and works through us often in the midst of our doubts. We value always being ready to ask, “How can I help?” It is an awesome thing to realize that as we come to God asking for his peace and justice to be more ever present in our world, God believes in us to be his helping hands in his world. Together, where ever we are, no matter what day of the week it is, we are the church reaching out to make our world a little more filled with God’s Spirit. We are the body of Christ in the world! OUR VISION is for all people with developmental disabilities to have full and abundant lives. HOPE Coalition is here for the really tough stuff, serving the abused and disadvantaged–victims of sexual assault, domestic violence, child abuse, and homelessness. Simply put, we restore hope. We rebuild lives. Our Mission: Empowering Lives through HOPE. A Plat is a map, drawn to scale, showing divisions of a piece of land. Plats show distances and bearings between section corners and along the lines defining Lots, Blocks and Subdivisions. After filing a plat, legal descriptions can refer to block and lot numbers rather that having to use section meets and bounds descriptions. The predecessor to Johnson & Scofield, Inc. Surveying and Engineering was the Harry S. Johnson Companies established in 1972. In 1980, David A. Johnson and Alan K. Scofield purchased the Red Wing office of Harry S. Johnson companies from Harry Johnson, David Johnson’s Father. Since its inception, Johnson & Scofield, Inc. Surveying and Engineering has grown from the two original owners at the Red Wing office to three locations including the original main office in Red Wing, Minnesota, a branch office located in Wabasha, Minnesota, and a branch office in Hastings, Minnesota. We offer a wide variety of surveying and engineering services, performed with prompt and friendly service. Our goal is to offer land surveying and engineering services in a time and cost effective fashion. Motor Parts and Equipment is a full service auto parts retailer. They stock parts of all kinds for all kinds of vehicles. Soft-touch dentistry for the whole family. Practice established in 1955. 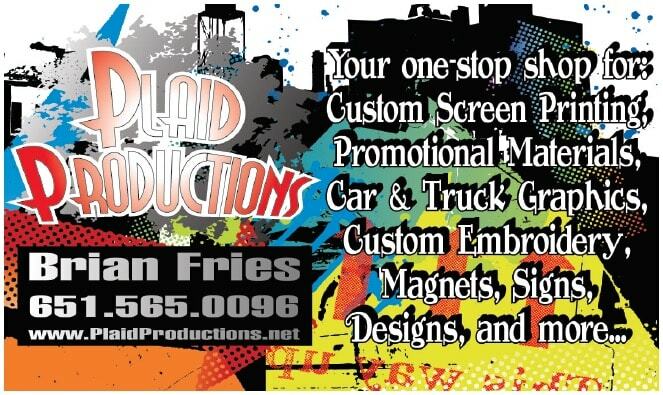 Plaid Productions is your one stop shop for custom screen printed apparel, embroidery, signs and designs. 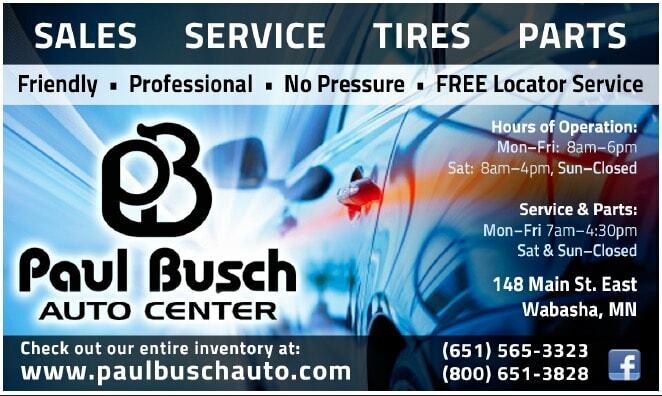 Vinyl work includes banners, vehicle graphics, billboards, A-frames, real estate signs, and window decals. We also have promotional items including pens, can koozies, frisbees, and mugs, etc. Pratt, Kutzke & Associates, located in the First State Bank of Wabasha’s Investment Center, offers a wide range of investment options coupled with personalized planning. Investment Advisor Representative, Dan Kutzke, has 28 years of experience in the Financial Services Industry and has been working with the First State Bank of Wabasha for 5 years. 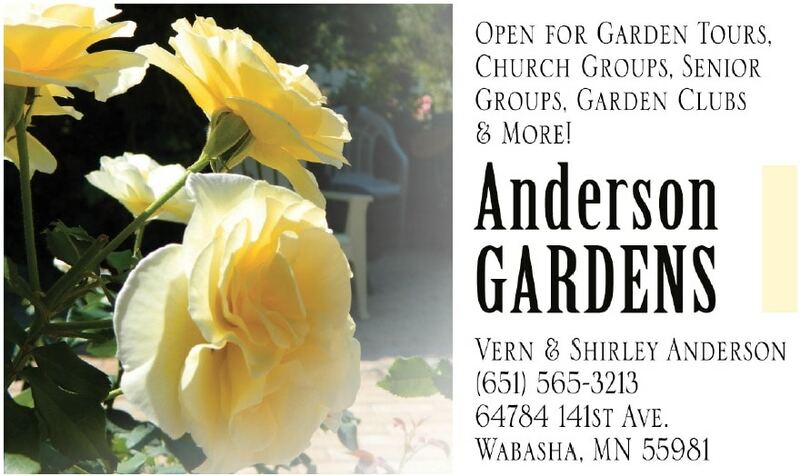 For more information or to schedule an appointment, please call 651-565-2770. Securities and Advisory Services offered through Commonwealth Financial Network, Member FINRA/SIPC, a Registered Investment Adviser. WRDN 1430 Am and 107.3 FM focus’s on the Durand/Mondovi/Wabasha/Ellsworth areas. We cover news, sports, events, everything we can reel in that’s important to the area! 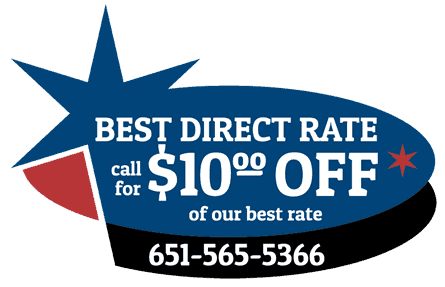 We provide web site design, marketing strategies, graphic design and radio advertising, promotions and marketing. Our attitude is “why not”! We’ll leave the “how come” attitude to our competitors! Soon to come: WRDN tours! 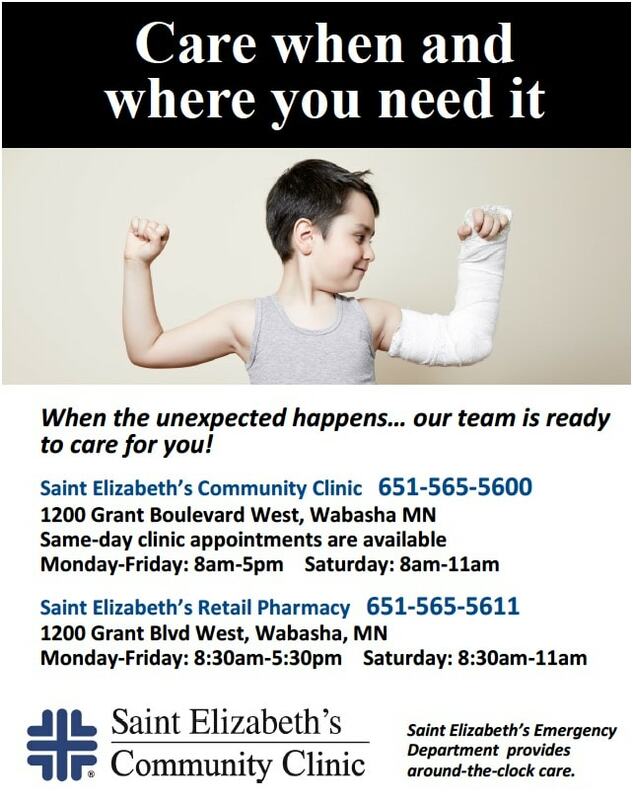 Saint Elizabeth’s Medical Center is a progressive health care organization providing a full scope of inpatient, outpatient, long-term care, and wellness services that meets the needs of our communities. Licensed in the State of Mn. serving SE Mn. Buyers and Sellers.